The Gikuriro program focuses on nutrition, and water, sanitation and health, or WASH. Through the program, Catholic Relief Services, the Netherlands Development Organization and local partner Francois-Xavier Bagnoud are helping communities organize health clubs to teach people about sanitation and hygiene. The Twite ku Buzima Health Club in the village of Rusebeya already has 75 members. Formed in January 2017, members meet in the fresh air in a small forest near the Burundi border. 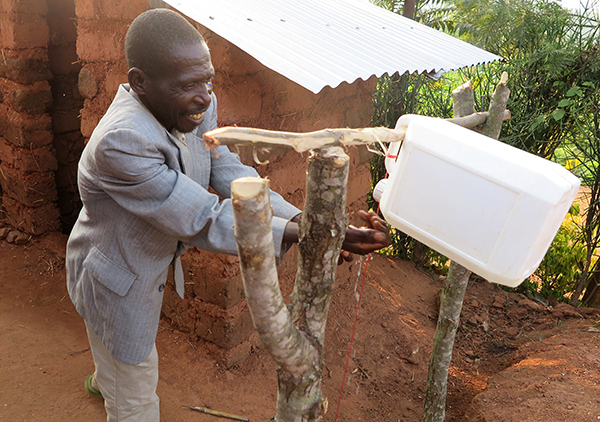 Before the program, Rusebeya had 215 households and only 87 toilets. Many were not in good condition. Now, just 5 months later, club members have built 4 toilets and dug 20 toilet pits. Another 15 are awaiting roofs. In total, almost 40 toilets will be completed soon. With the club’s assistance, Munyakayanza’s family also has a drying rack, a rope to dry clothes and a kitchen garden to grow vegetables. There are other health clubs like Twite ku Buzima in the 1,200 villages where the Gikuriro program’s first round is being implemented. Health clubs have been started in every one of these villages. By the end of 2017, the WASH activities will have launched in all the 3,469 villages of the program’s 8 districts in Rwanda. In addition to its health club work, the Gikuriro program encourages caregivers to wash their hands before preparing food. It is expected that within the year, 30% of program participants will have adopted these healthy habits, growing to 60% by 2020. The program will also help families store clean drinking and learn to use soap and clean water for hand washing. Community members have noticed that improved hygiene is reducing disease, and that their children do not become sick as often. 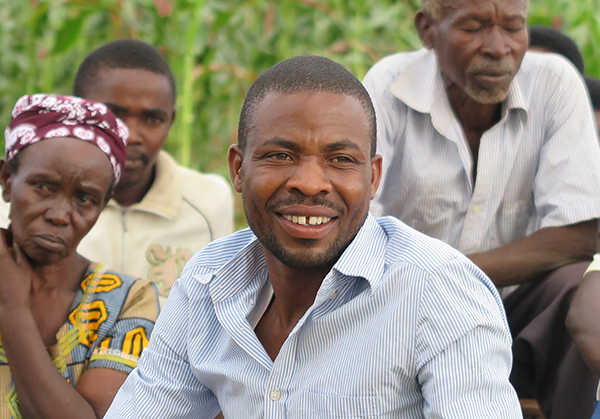 The Gikuriro program is a 5-year project funded by the U.S. Agency for International Development. The Rwandan prime minister and the U.S. ambassador to Rwanda launched the program at the national level in 2016.